Hey there, fellow PoTAYtoes! As we all know, the AniClub decided to turn into a bear and went into hibernation mode, leaving us all one TAY feature poorer. Fearing the death of this mighty tradition, I approached our lord-of-awesome Odin and asked if I could carry on AniClub duties for him. Odin agreed and, with your support, we will have AniClub back up and running in a week or two! 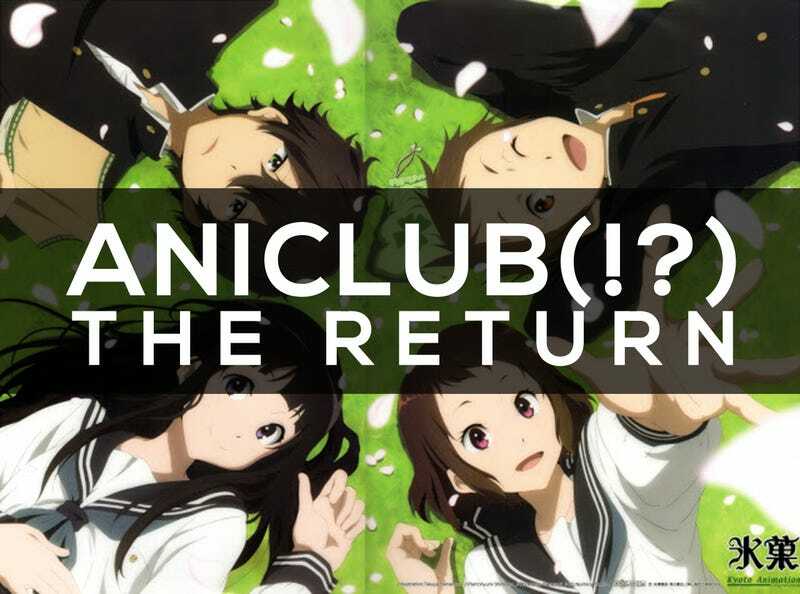 For the uninitiated, AniClub is a weekly feature where we talk about an anime series or movie. The TAY populace decides on an anime, either film or series, watch the chosen anime (~3 episodes per week for series) then talk about it on the week's AniClub post. So, now that the re-introduction's over, do you want AniClub back? It'd be a shame for us to return this feature only for it to die a slow and dishonorable death. I know you fellow (Ani)TAYers won't let that happen but I'm asking this to be sure. Next, should we continue watching Ergo Proxy or restart with another series or movie? If you guys would rather start with another anime, please include your top 3 picks on your comment. Furthermore, will we continue with the 3 episodes per session? We can discuss changes to the format. Finally, when should we start this and what would be its time slot? Please sound off on the comments section below! All comments and suggestions will be appreciated! 1. Do I want AniClub back and will I help make it lively? 2. How many episodes should we watch each week? 3. What series should we watch? Should we try watching an ongoing/current season series on AniClub? I should list my top 3 suggestions (either series or movie and where I can watch them) because this guide question tells me to. 4. What time should the AniClub articles be posted? 5. Do I want anything changed? What would make AniClub better? pps. I need someone who has access to a bunch of streaming sites (Netflix, Crunchyroll, etc...) to check for the availability of titles. Anyone wanna volunteer? :3 I'll just send the list once we have a sizable number of suggestions.